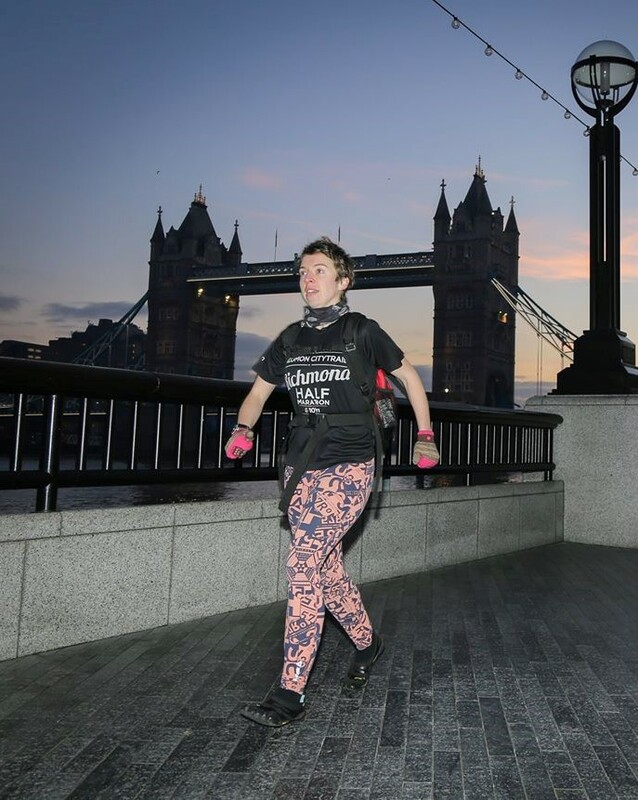 Laura is a long-distance runner who likes to combine running and history to explore her world. The choices we make define us. We choose what job to take. We choose what food to eat. We choose how to spend our spare time. We choose where we live and we choose who to spend our time with. We choose whether to watch others go on an adventure or whether to go on an adventure ourselves. We also choose what adventure to have, where to go, how long to go for. We choose how to travel and how to carry our kit. And, as I learned today, sometimes we have to choose between taking pants or gators. 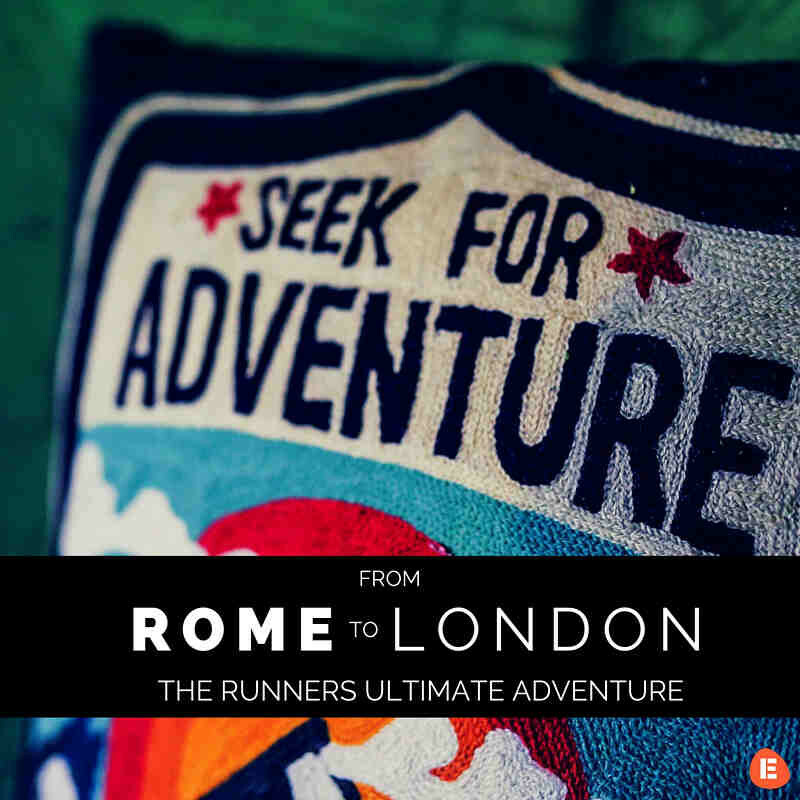 On September 12th, I set out on a 1249 mile run from Rome to London. I will have no pants with me. I chose the gators. From now until December, I will not be wearing any pants. I will only be wearing smelly much-worn running clothes that will inevitably wear thin and get holes. I will not enjoy the comfort of my familiar sofa or drink tea from a well-loved mug. I will not stay in the same place overnight for more than two nights at a time. I will not see the same people every day. I will stay in strange houses or camp in strange fields and every day will take me somewhere I have never been before. I will have to cross rivers and climb mountains. I will have to communicate with people in three different countries where my English may not be understood. I will have to cover around 20 miles a day of complete unknown territory and not accidentally stray onto an angry farmer’s land or into bushes of stinging nettles or off a cliff edge. I will need to be by myself in my own head hour after hour, while running, and not lose my marbles. If you wanted to read more about the preparation for this crazy challenge, you can do so on my previous blog here. There is so much that I can’t know until I get started, which both intimidates and relaxes me. Because I don’t know what I don’t know, I look at my kit and listen to my body and think it will probably be fine. Then I have sudden moments where I know that because I don’t know what I don’t know, I am drastically under-equipped and there is nothing I can do about it. And so I sat and cried. I cried about all the amazing things I have in my life right now, all the people and the loveliness, and my incomprehension at why I am choosing to leave this all behind. It is only for two and a half months and everything I love will be here when I get back. But it is hard not to imagine that sometimes, when my legs don’t want to go anymore and I haven’t been able to find anywhere to sleep and I haven’t eaten enough food to keep going, that I will wonder why I upset the very nice equilibrium of my normal life for this. There are a few things I hope will see me through. The first is the massive amount of support I have had from everyone I know. As I write this, my phone has beeped about seven times with messages wishing me well. The second is that I will still be very connected with the world as I know have a wind-up phone charger so my fears of not being able to contact people if the battery has died and I am in trouble have now calmed. The third is that, through the huge amount of generosity shown by the people around me, over £2600 has already been raised for the Ronald McDonald House, who I am running for and I’m not even at the start line! It gives me a very different sense of satisfaction when donations are made. It makes me feel like part of a bigger picture so that when my self-motivation runs out, I will be able to keep my legs moving by thinking about all the great work they do and how privileged I feel to be able to help in any way at all. So that’s where my mind is right now. It’s pretty much all over the place, as you can maybe tell. I’m thinking about the fact that I’ll be ok with my gators if it’s really muddy but I will be knickers-less the whole time. I’m also sad, as I’ll miss so much about my life here. I’m scared because of the huge looming shadow of The Unknown. I’m relieved to finally be starting this journey that I’ve thought about for so long. And maybe, just maybe, when I sit on the plane in four hours time, I will be excited. To support Laura on her fantastic journey, you can donate to her challenge at her JustGiving page. You can also follow her journey on Facebook, Twitter & Instagram! Has Laura’s challenge inspired you to take on one of your own? We’d love to hear about it!